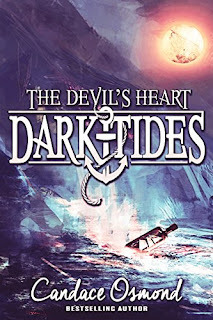 When Dianna Cobham accidentally breaks an enchanted ship-in-a-bottle she’s washed away to 1707 Newfoundland and taken prisoner aboard a pirate ship captained by the infamous Devil Eyed Barrett. Dianna fights to survive by proving herself indispensable to the crew, all the while forging a secret plan to get back home. But when Dianna learns of the Devil’s vengeful mission to seek and kill her ancestors, her hopes for returning to the future transform into an elaborate plot to save her lineage. Can she charm the Devil’s heart and change his mind before it’s too late? Or will she sacrifice herself to save the man hidden underneath it all? 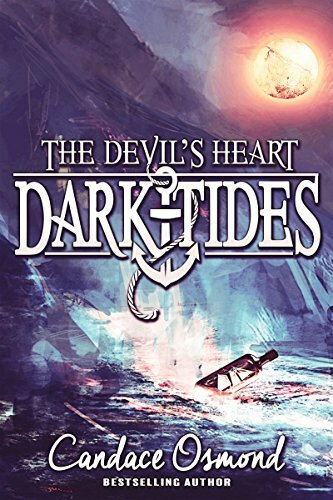 Fans of OUTLANDER and PIRATES OF THE CARRIBEAN give praise for The Devil’s Heart! Grab your copy and start the epic adventure today! I was introduced to this book by a friend I couldn't wait to sit down and start reading it . I always loved a good pirate book but I didn't realize what I was getting into with this book The book is more then just a pirate book. Meet Dianna who is heading home for here father's funeral . She hasn't been back to Newfoundland for it seems like ever . When she gets there she is met by her aunt and taken back to the house . Where she is hit wit emotions that she didn't want . One night when she accidently breaks a ship in a bottle and is transported back to 1707 Newfoundland . Well lets say more like the middle of the ocean off Newfoundland . Where she is scooped up and taken aboard the Devil's Heart . Where she meets the infamous Devil eyed pirate Barrett and his crew . Where a little work she becomes a crew member and indispensable to them and the dreaded pirate who is more then he is letting on . Will she be able to come back home or will she want to come home after she realizes there is more to this crew then they are letting on. Henry Barret the Devil Eyed pirate is such a tortured man , he is so complex and you really just want to hug him and make sure he is going to be ok . He has been through so much and when you see him at first . He is surly and really dangerous . But as you read along with Dianna in his journal you see a much different man emerge . He shows his kind and sweet side to Dianna and the rest of the crew . But I must say my two favourite characters in the book are Gus and Finn, they bring hilarity to the book . Finn is a big ole Scotsman who will do just about anything for a friend . He takes Dianna under his wing when she is first on the ship and keeps her safe . He is also a little brass and sometimes vulgar . Trust me you will love the salty dog . He makes the story most of the time . Gus is more on the quiet side and will do anything for the people he loves .